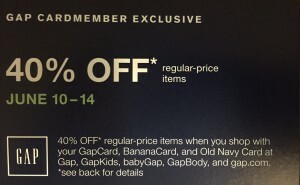 Here is the printable 40% Off Gap coupon for GAP Cardmembers. 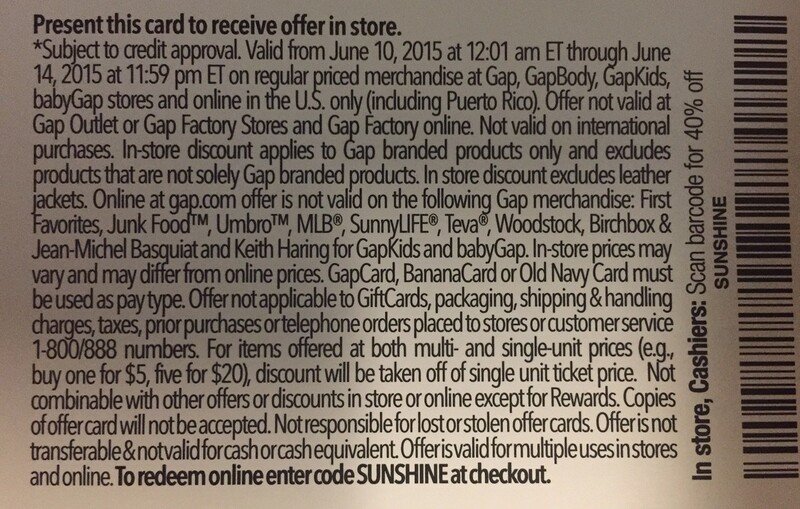 If you do not have a GAP Card and want one, you can apply at the store and get a card if you qualify. 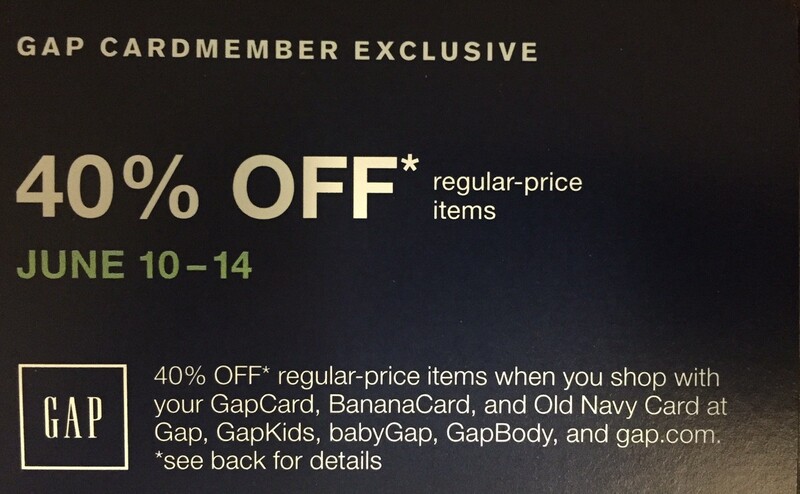 This coupon can be used multiple times to get 40% off at Gap. USe coupon code SUNSHINE online at checkout on Gap.com to get 40% off select regular price items. 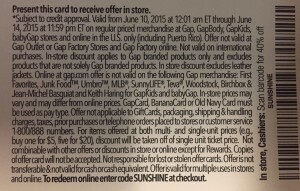 This printable 40% off Gap coupon is valid from June 10 to 14 only. Share this page with your friends if you like the Gap 40% off coupon. This entry was posted on June 10, 2015 at 10:49 pm, and is filed under Beauty Deals/Offers, Specials. Follow any responses to this post through RSS 2.0. You can leave a response or trackback from your own site. Eyebrow Waxing at home !! Leg waxing at home !! How to Tweeze Your Eyebrows?